Since 1936 well drillers have been required by the Department of Natural Resources (DNR) to file a well construction report (WCR) for any well drilled for drinking water use. For a small fee, we can provide you with scans or digital copies of WCRs. Our services and fees are outlined below. WCRs should contain information about the well owner, owner’s mailing address, location of the well (most reports do not list street addresses and some do not list quarter sections), distances from the well to buildings, sewers, silos, animal yards; the construction of the well, including diameters and lengths of drillhole and of casing, liner, or screen; the geologic materials the driller observed during drilling the well; water level and pumping test data; the well driller’s name and address; the date the well was completed; and the date that a water sample was sent to a laboratory for analysis. (View a sample WCR.) Except in rare cases, none of this information has been field checked. Errors, especially with regard to the location of the well, are common. Want to know the locations of high-capacity wells and how much water they’re pumping? 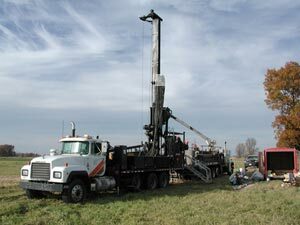 Visit the DNR’s Water Withdrawal and High-Capacity Well Viewer. If you’re looking for a specific WCR, you can either request a well record and we’ll try to find it (for a fee) or you can search for it yourself online (no charge). Wells drilled 1988–today (DNR drinking water database). Need us to look up the legal location? Add $10 to the total. Before you place your order, you may wish to read the Survey publication entitled Understanding Wisconsin Township, Range, and Section Land Descriptions. This brochure may help you to accurately define the locations of the well records that you are interested in acquiring. Please note: Matching specific WCRs to specific wells is extremely difficult and time consuming, especially in densely populated areas. The more information you can provide about your property, especially the name of the owner when the well was drilled, the better the odds of matching a WCR. Even under the best of conditions, we find only about half of the WCRs we look for. For information on well abandonment procedures and forms, please contact the Wisconsin Department of Natural Resources (DNR). There are no returns or refunds for orders of photocopies (unless WGNHS makes an error), so please make sure you order the correct county, Township, Range, section(s) and quarter section(s).